Four food vendors and one beer vendor served hundreds of Cherry Hill residents at Croft Farm during Cherry Hill Township’s inaugural event. Mia, Michael and Toni Martin enjoyed food from the Whole Hog Cafe at Al Fresco Affair on Thursday. 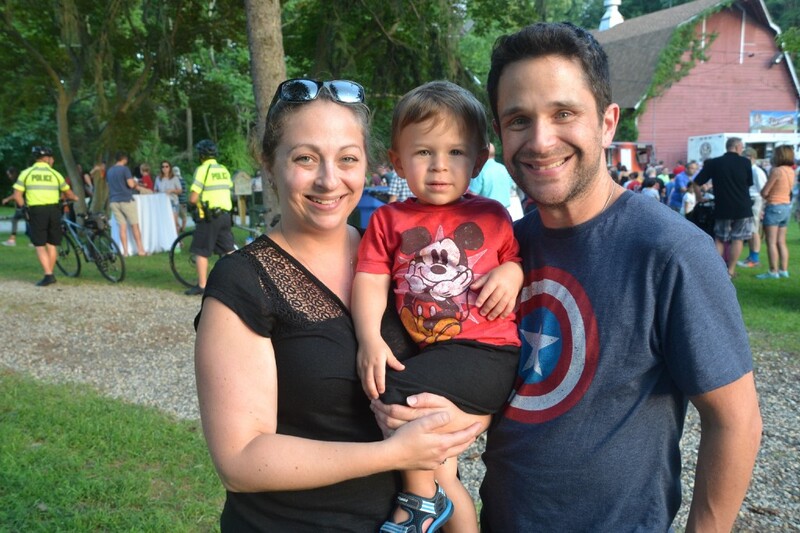 Croft Farm was packed on Thursday evening as Cherry Hill residents of all ages enjoyed the township’s inaugural Al Fresco Affair. At the event, attendees got a chance to sample food and beer from five vendors while enjoying live music. Many residents in attendance thought the event was superb and the food was tasty. However, when asked about what food item was the best, the answers were varied. One favorite vendor among visitors was the Whole Hog Café. The truck had a long line throughout the event, and many of the people who visited the truck were satisfied with what they ate. The Martin family was one of the many people who decided to try Whole Hog Café. The whole family enjoyed their meal, but they couldn’t agree on what the best item was. “I liked the ribs the best,” Michael Martin said of his meal. “I liked the cornbread the best,” Toni Martin added. Meredith (left) and David (right) had a blast at Thursday’s Al Fresco Affair with their son, Aden (middle). Meredith and David Meyer also tried the Whole Hog Café and were very happy with their chicken. “It was fantastic,” Meredith said. The Meyers also ate at The Cow and the Curd, where they feasted on an item called cheese curds. David said they came across The Cow and the Curd at another food truck festival in South Jersey and loved the cheese curds so much, they had to have some again at Al Fresco Affair. “They’re kind of like the mozzarella sticks’ bigger, better brother,” David said in describing the cheese curds. Some attendees on Thursday bypassed barbecue and cheese in favor of seafood. The Star of the Sea Seafood truck had a long line for most of the night, and the reviews were mostly positive. Laverne and Charles Mann were pumped to enjoy some food at Al Fresco Affair and were one of the first in line at Star of the Sea Seafood. “I had clam strips and we had a crab cake,” Laverne said. The Manns also made sure to stop at Cupcake Carnivale for some dessert right after they finished their dinner for a pair of cupcakes. The couple opted for an Oreo cupcake and an orange creamsicle cupcake. 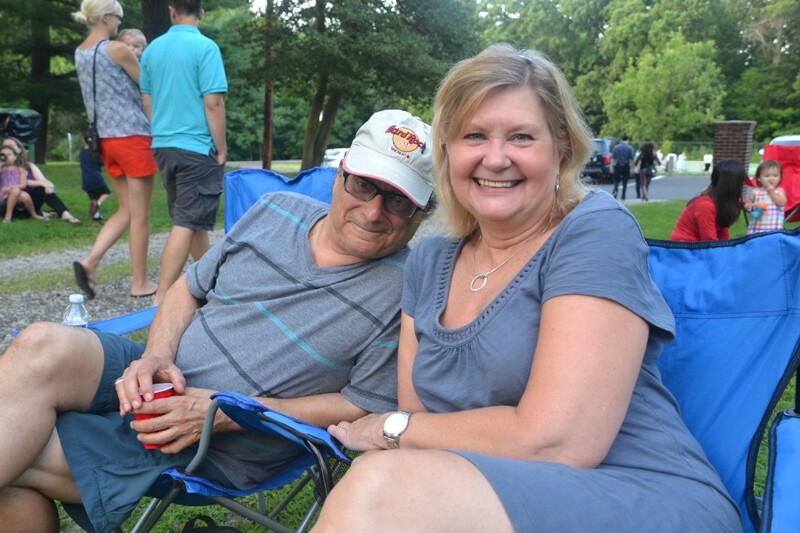 Ron Muscelli and Karen Zbikowski enjoyed the food and the music at Cherry Hill Township’s inaugural Al Fresco Affair. Karen Zbikowski and Ron Muscelli decided to eat dinner from different trucks on Thursday evening. Like many others, Zbikowski opted for some fried clams and a lobster patty sandwich from Star of the Sea Seafood, while Muscelli decided to eat a burger from the Farm and Fisherman Tavern and Market. The food wasn’t the only thing drawing Zbikowski and Muscelli to Thursday night’s event. They were excited to find out there would be music. The Rick Martin Swing Orchestra entertained hundreds on the front steps of the Croft Farmhouse. Zbikowski and Muscelli said they have tried to attend every public concert Cherry Hill Township has put on this summer. 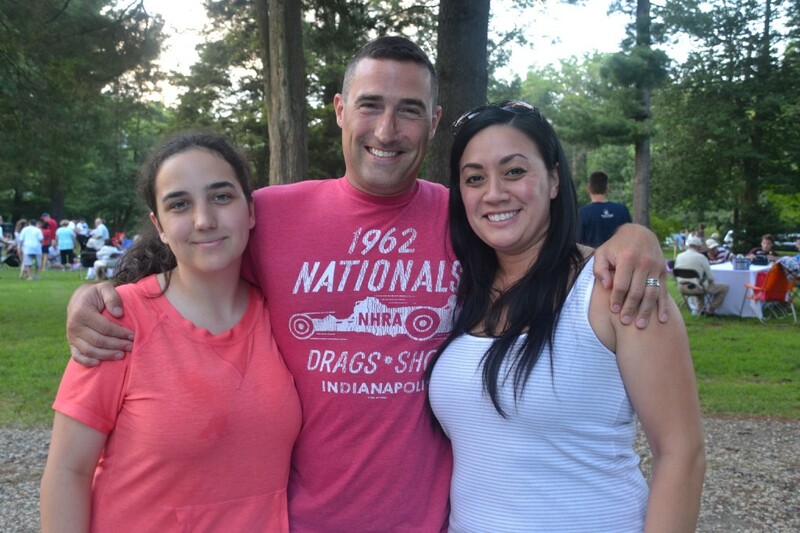 Both Zbikowski and Muscelli agree the township’s community events are a big reason why they enjoy living in Cherry Hill.